When Pigs Fly keeps the crowd rocking all night long. 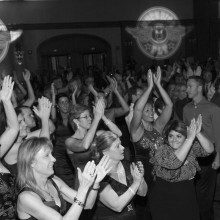 With set lists sure to keep everyone on the dance floor, your party will be rocking until late in the evening. 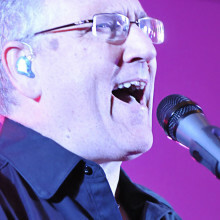 The songs featured are sure to please a diverse crowd of all ages including hits from The Beatles, The Who, Blue Rodeo, Steve Earle, Train, Van Morrison, U2 and more. 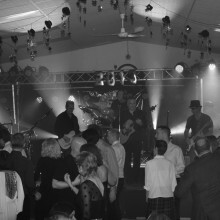 Focusing on corporate parties and events, When Pigs Fly marries the fun of a party band with the professionalism of corporate Alberta. The members of When Pigs Fly all work in the Oil and Gas sector and your corporate event success is our top priority. From intimate customer gatherings to large scale corporate celebrations, When Pigs Fly delivers a great party. Still not sure? Take a stroll through our galleries. Happy crowds don’t lie!